To use, you need to open the cap and spray onto the skin wherever needed from a distance of about 30cm. After spraying, you need to rub the lotion into the skin which is very quick and easy to do. The most appealing feature of this moisturiser is obviously the ease of use. It’s quick and it’s simple, and that means it’s perfect for everyone, including those who try to say that they don’t have time or can’t be bothered to apply a lotion. It absorbs into the skin somewhat averagely, not too fast but not the slowest absorber either. It does leave the skin feeling a bit greasy for a few minutes after application, and then settles down enough and allows you to feel the smoothness. Another important point is that it is very easy to apply too much. The spray really disperses it across the skin, so a quick blast of spray down each arm and leg can be enough. Obviously if you have really dry skin and feel that you need more, spray more. Otherwise, spraying more can mean that you will be there for a long time rubbing the moisturiser into your skin. 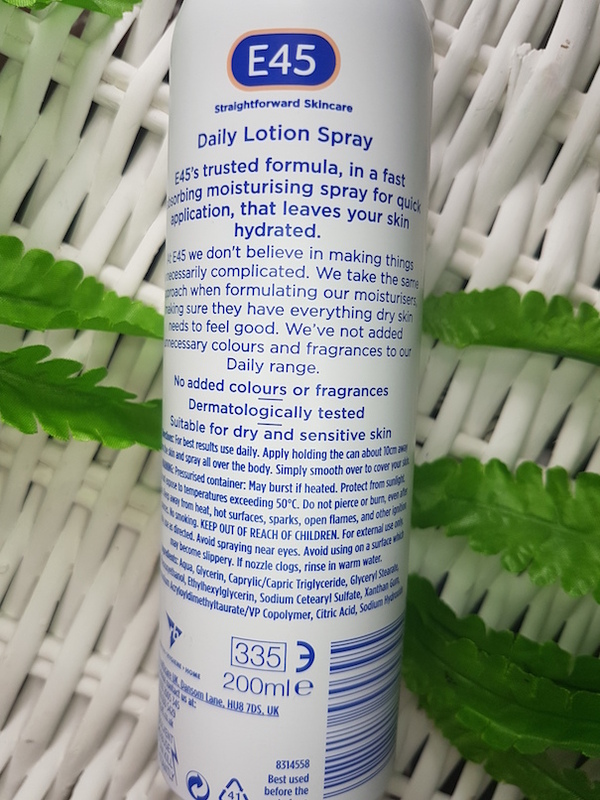 It hydrates really well, but I feel that this particular spray is best for mild to moderate eczema and the intensive spray may be more ideal for bad eczema. I like the ease of the spray function. Instead of running away or getting annoyed, my little girl loves this spray. She always giggles when I spray it on and she helps to rub it in, so in that regard, it’s a winner. The important part isn’t the gimmick side though, it’s the results. Thankfully, this spray works pretty well for my daughter. It does help to reduce eczema flare ups, but for particularly bad patches I do find myself having to apply a separate product too to really get rid of it. 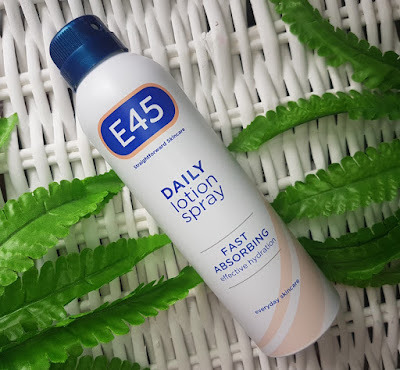 AsI've mentioned a couple of times E45 do sell an intensive version of this spray (which I just haven’t been able to find in store, hence why I bought this one) and that could be better for the worse areas, but without testing it I’m really unable to confirm that. 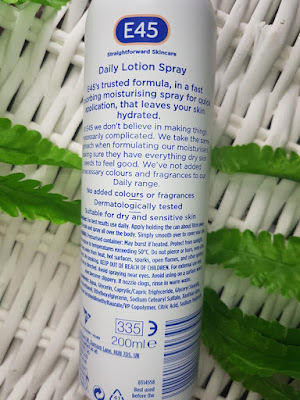 I’ve spoken before about how I get really dry and painful cracked skin on my hands at times, so I also gave this spray a go when I was having a minor flare up. It did help, but spraying it onto my hands felt a little silly and a lot of product was just spraying past my hands. Therefore this is definitely better as a body spray for larger surface areas, even though it does help to soothe wherever you use it. It’s just a bit wasteful on smaller areas. Overall, I think that this is a great product for post-bath or shower for general body care, or at any time on dry skin, especially for those who can’t usually be bothered with a regular type of lotion or for children who don’t like to stay still. The ease of use makes this such a family friendly product, and you really don't need as much as you would assume either, so it will last a while too. You can purchase the E45 Daily Lotion Spray from Boots. 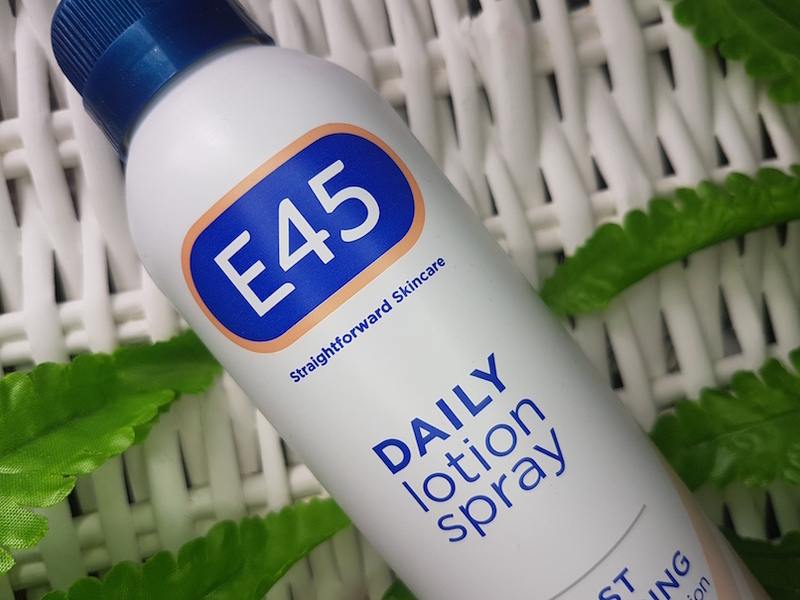 What are your thoughts on the E45 Daily Lotion Spray? What are your favourite products for dry, sensitive skin?